Athenagoras I, was simultaneously read in public gatherings in Rome and Istanbul on 7 December 1965. 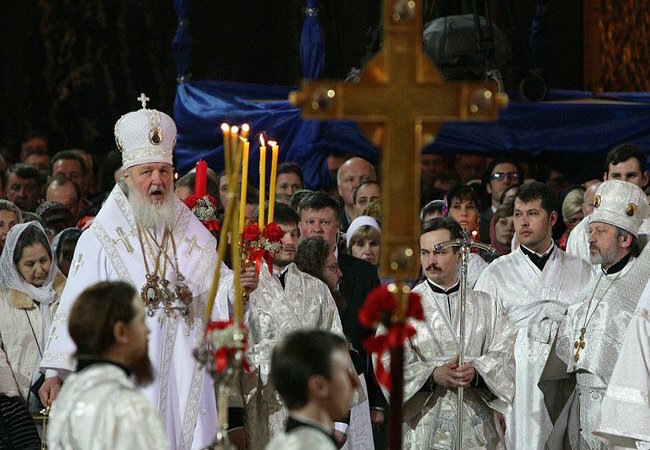 The Catholic church has approximately 1.2 billion believers, while the Orthodox church incudes 14 self-headed regional churches (fully independent administratively) and the American Orthodox church with approximately 300 million believers. The significance of this meeting can have an important role in the further closeness of the two churches, but a realist analysis indicates several elements worth mentioning here. Patriarch Kirill, aged 69, desired to have an important role in Orthodoxy and a meeting with Pope Francis would have helped the desire to enhance its importance. President Putin had an important role in the achievement of this objective because he had previously (2014) met Pope Francis in Vatican and Kirill must have had Kremlin’s agreement in his intention, in the context of sanctions imposed to Russia after the annexation of Crimea, the other actions in the east of Ukraine and the direct military intervention in Syria. There are even speculations about Putin being a protector of the Christians in the Middle East, since neither the Vatican, nor the other Orthodox churches have done almost anything to avoid the killing and flight of the Christians in the region or their persecution for the simple reason that they were Christian. Alexander Volkov, the spokesperson of Patriarch Kirill said that he “guarantees 100% that the meeting of the two religious leaders had nothing to do with politics”. We also mention here that Patriarch Kirill sup-ported Putin at the 2012 elections, when he called him “a miracle form God” and the Russian Orthodox church traditionally maintains close connections with the state. Pope Francis, aged 79, of Argentinian origin, is distanced from the period of the Cold War in Europe and from the actions of the USSR and of Russia in the east of Europe, which led to an attitude that favored Kremlin’s diplomatic actions to get close to Vatican. The difficulty of this meeting is given by the place and time decided on, Cuba being a predominantly Catholic country, but politically close to Russia. After Cuba, the Pope travelled to Mexico and Patriarch Kirill went to Paraguay. As mentioned before, the Common Statement that has been signed referred (paragraphs 8, 9 and 10) to the situation of the Christians that have been victims of persecutions “in many countries in the Middle East and North Africa, entire families, villages and cities of our brothers and sisters in Christ are completely ex-terminated” and asked for “the immediate reaction of the international community in order to prevent the continuous expulsion of Christians in the Middle East…expressing compassion for the sufferance of peo-ple with other religions that turned into the victims of the civil war, chaos and terrorist violence”. Paragraph 16 refers to the process of European integration, hinting at the danger of the Muslim migration and of other religious groups, by mentioning that “Being open to the contribution of other religions to our civilization, it is our belief that Europe must remain committed to its Christian roots. We ask the Christians in the East and West of Europe to unite…so that Europe preserves its spirit, which has been built in two thousand years of Christian traditions”. We also mention paragraphs 19 and 20, which say that “family is based on marriage, a free consented act of love between a man and a woman. Family is the natural core of human life and society”. The meeting was also a good opportunity for the Russian Orthodox church to stand out, considering that in June 2016 a historical meeting of all the Orthodox churches is scheduled to take place in Crete, and the meeting of the Russian Patriarch with the Pope could help the Russian church enhance its role within the other Orthodox churches, considering that it has lost much of its influence in Ukraine and the unity of Or-thodoxy is far from being achieved. We can also relate this to the situation of the Orthodox church in the Republic of Moldova, where the Russian church is trying and succeeding to maintain its positions, al-though it has lost full control of all the Orthodox Christians in this country. Overall, we could say that President Putin was the biggest winner in the meeting between Pope Francis and Patriarch Kirill. Corneliu Pivariu is a founder and editor-in-chief of the Geostrategic Pulse – think-tank and foreign policy magazine. Why ‘Yes’ to nuclear energy?